One of the most used phrases in editing is the dreaded, “Show, don’t tell.” What it means, very simply, is that the prose is using direct words and phrases (He was very angry) versus description (His blood thumped in his ears and he clenched his fists). While the definition is pretty clear, the application of showing and telling is much more nuanced. Note: While most of the examples in this blog post are made up, they are inspired by our freelance editing clients. Later, Anita went to the council meeting. I followed along and they discussed the upcoming presidential election. I watched as a heated argument arose between Anita and Councilman Jeffords. After that, we had lunch and discussed it. Our editing comment would be something along the lines of, “Turn this into a scene.” Unless the council meeting offered nothing of plot-or-character-value, this is a chance to continue building your world. 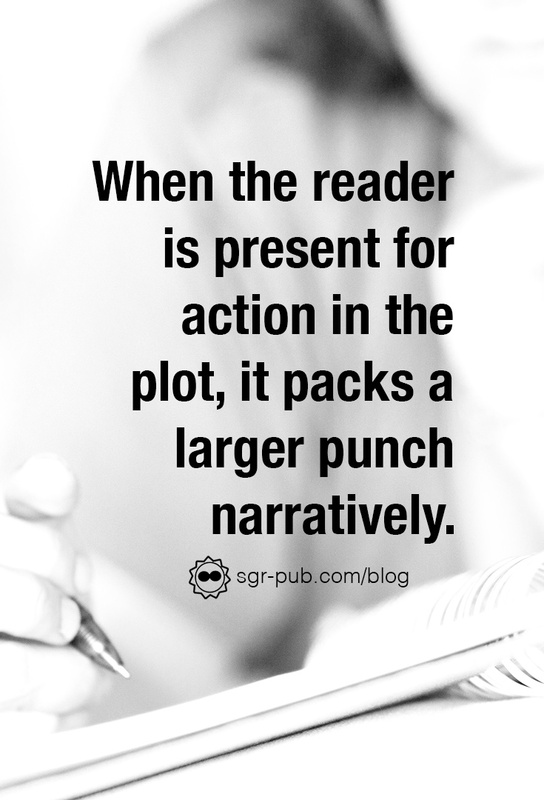 When the reader is present for an action, it keeps them engaged. When it comes to dialogue, writers have to strike a balance between giving too much background and body language and keeping the conversation going. More often than not, we see a lot of dialogue and not a lot of descriptors, which can both confuse the reader as to who’s talking and not give us a clear picture of the emotion in the room. The words, by themselves, are powerful. But with the addition of some body language–a pause here, a turning away there, an averted gaze and flushed cheeks, we can glean much more about this conversation. This is especially crucial when building relationships between characters in your text. We’ve also dealt with some authors who go above and beyond on the showing standpoint, giving us an entire chapter of exposition on how cold the outside is. While there are some readers who enjoy that level of detail, there are others who see a block of text and flip to the next page. 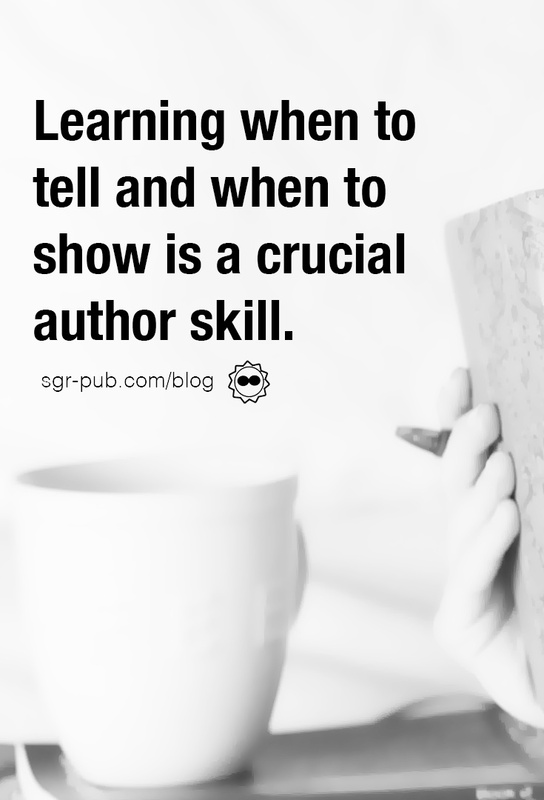 Here is the flip side of showing and telling – too much showing. The elfin woman shrugged her bony, pale shoulders, her silvery hair fluttering with each movement. Her golden eyes danced about the room, absorbing everything from the chandelier to the marble tile floors. With a flick of her ebony cape, she swept toward the aperture on the wall. In some cases, purple prose works. Fantasy books with massive amounts of worldbuilding benefit from having more detail. If you’re an author with a flowery writing style, do what works for you and your preference. But keep in mind that too much detail can distract the reader. Plot explanation: Ask yourself: Is this scene crucial? Would writing it give an additional view into this world or the plot? Dialogue: What are the characters doing? If they’re sitting around, staring at the wall, dialogue-only may work. Look up some articles on body language and try to incorporate it. Purple Prose: Is the paragraph too descriptive? Is there a reason for the detail, or is it just to fill space? Reading through your manuscript to find the issues is really the best way to locate the problems. That’s why we’re such big believers in getting additional feedback, especially for newer writers learning the craft. After a few rounds with an editor, it becomes easier to understand where to utilize each practice.